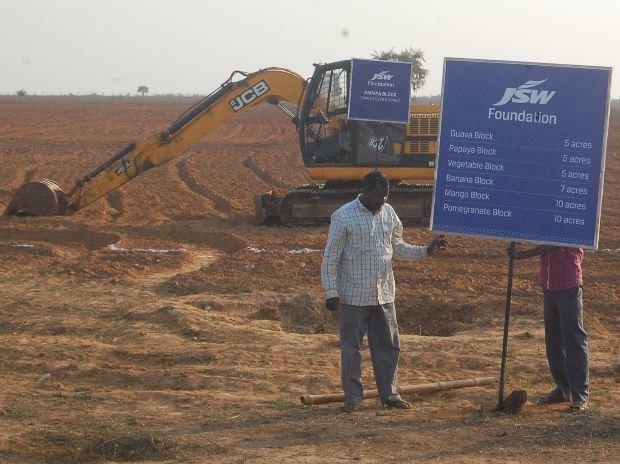 JSW Cement, a part of the Sajjan Jindal-led JSW Group, plans to invest around Rs 2,000 crore to achieve the target of 20 million tonne annual capacity by December 2020, a top company official said Tuesday. "We have a capex plan of around Rs 2,000 crore to achieve the target and we are looking at both organic and inorganic opportunities," he said, adding they are also evaluating a few stressed assets but in the short-to medium term, the focus will be execution as there are lots of opportunities in brownfield expansion. The company is looking at a 70:30 debt-equity ratio the expansion. The company has Rs 2,400 crore debt in its books now. Asked about the size of the proposed IPO, he said, "it's a little bit early to speak about the issue size, but I think we are looking at an enterprise value of Rs 25,000- 30,000 crore." He further said initially the company would be looking at a 15 per cent promoter share dilution and another 5-10 per cent over the next few years. "But if we go in for a more aggressive expansion, then we will dilute more, but if we choose to be conservative, we would dilute less. Initially 15 per cent is the target that we have," Jindal added.